TurboRepair.com is proud to offer genuine Garrett turbochargers for your 3.5L Ecoboost F150 at a fraction of dealership cost! 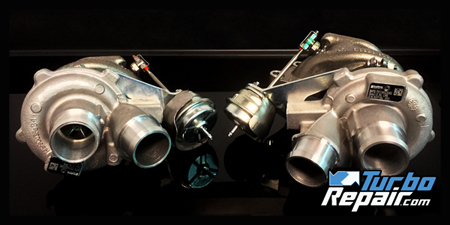 Our turbochargers are built in house using only the best in USA made materials to ensure your turbochargers will perform perfectly for many years to come. Every Ecoboost turbocharger has a 1 year standard warranty, with an optional LIFETIME warranty to back up our claim to providing you with the very best turbocharger possible. Let our 19+ years of turbocharger experience go to work for you! Questions? Give us a call and we will be more than happy to help you! • 1 year warranty standard, optional LIFETIME warranty! • 2 business day typical turn around time for rebuilds, same day shipping on exchange units. We also offer our extended Lifetime warranty for package for the F-150 Ecoboost for qualified vehicles so you can be confident you are getting the very best in quality and craftsmanship with your purchase. If you are interested in the extended warranty, email support@turborepair.com and simply put “Ecoboost F150 extended warranty inquiry” in the subject line. Thank you for your interest in our service, we are looking forward to serving you!